Here are stories about my Poodles. 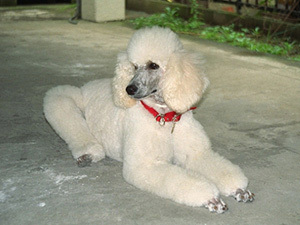 My first Poodle was Addie, who came to me in 1982. If you start reading from 'Introduction,' you'll know how I got involved with Standards. Tina (Standard) - will be coming soon, hopefully.